The opening speaker for the convention is Martin Toomey. Marty is SPARC’s High Performance Ma nager, and is directly accountable for the implementation of SPARC’s high performance strategy. Before joining SPARC in 2002, he was a Performance Director with the New Zealand Sports Foundation. He worked as Fitness Trainer with Team New Zealand (1998-2000) and the All Blacks (1994-1999). Early in his career, he established and led the Human Performance Centre at Otago University (1989-1996). Immediately after graduating with a Masters Degrees in Physical Education, Marty worked as a raft guide, white-water canoeing instructor and ski guide. He remains a keen recreational skier, cyclist and runner. He lives in Wellington with his wife and 2 children. Dr. Rosandich was also responsible for the founding of what is now called the South East Asia (SEA) Games. He founded the United States Sports Academy in 1972. 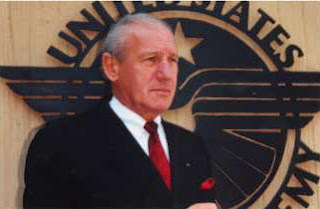 He has served as its Chief Executive Officer since 1976. He presently serves on the USOC’s Education Committee, the Athlete Identification and Development Committee, and the International Relations Committee. General Manager for High Performance in New Zealand (SPARC). a) En. Azran Osman Rani, CEO AirAsia X Sdn. Bhd.